When Kate Englund-Ginn, AM '11, returned to Ethiopia in summer 2010, she had the opportunity to combine what she learned in her School of Social Service Administration first-year field placement with her love for the African continent. The trip was the fifth she had made to Africa and her second to Ethiopia. During her ten weeks there, Kate worked with four foster care homes through the Gladney Center for Adoption. 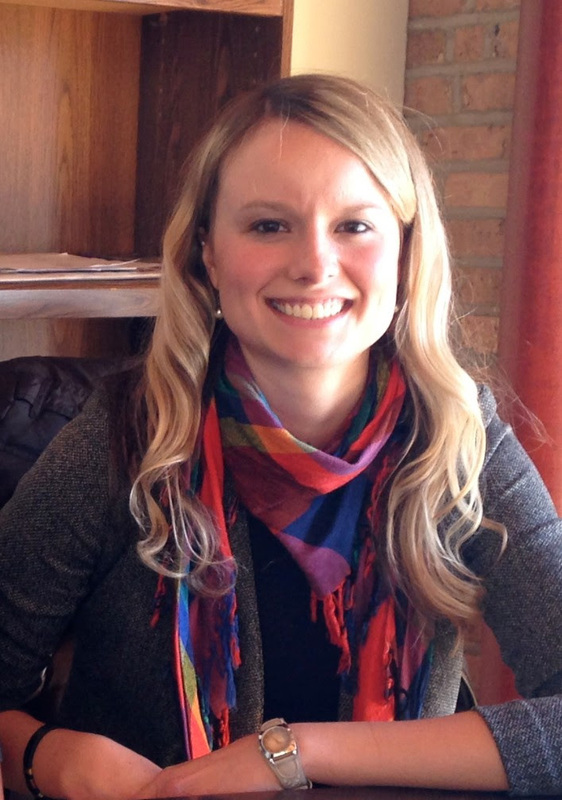 Her first-year SSA clinical placement was with the adoption unit at Catholic Charities of the Archdiocese of Chicago. At that time, Ethiopia sent more children to the United States for adoption each year than any other country other than China, so her knowledge of U.S. adoptions was a significant asset. "I was able to advocate for the developmental needs of children to ensure they were being listened to and thriving while in temporary foster care settings," said Kate. "My role was to help with the transition from orphanages to foster care to adoption. When the children come out of orphanages, they need more activities to stimulate them intellectually." Kate chose to study at SSA because of the strength of its administration concentration and because of its location in Chicago. "SSA teaches us to be good advocates for people who do not have voices to bring their stories to the realm of policy-making and program development. While we are all passionate about different issues, we have a common goal to advance social justice by helping people realize their human rights," she said. "The true test of the effectiveness of a macro-level policy is how it is experienced in the daily lives of those experiencing poverty and marginalization. SSA helps us learn to evaluate how the policies and program we implement are affecting society's most vulnerable people." Her second-year SSA placement again focused on children. She worked with the Immigrant Child Advocacy Project on advocacy for unaccompanied minors. "Some of the children were eligible for asylum. I talked with them to learn their stories. Based on the evidence we uncovered we could help their case with immigration." As an undergraduate student at Boston College, Kate was part of a study-abroad program in Mali, where she worked in gender studies and did an independent study project on the causes of orphanhood there, noting, "I spent a lot of time at three different orphanages, examining the cultural issues that prevented children from being adopted within their home country." After earning her degree in Human Development, Kate returned to Africa. In 2008 she spent four months in Ethiopia under a Samaritan's Purse International Relief internship, overseeing flood relief efforts and dispatching supplies, and in 2009 she went to the Congo on a work assignment for that organization, managing logistics and field financing. During that trip she met Gabriel, an 11-year-old boy who had a heart defect that was interfering with his ability to lead a normal life. Throughout her first year at SSA, Kate did fundraising through benefits in Chicago and in her hometown of Portland to pay for surgery and discovered that India offered the best options for surgery. When her grant project was completed, she accompanied Gabriel and his father to India where a successful procedure repaired the hole in the boy's heart. "Now Gabriel is healthy enough to attend school for the first time," she said. In Spring 2010 Kate took part in SSA's Washington Week, a networking opportunity for alums and students. "It was encouraging to hear from so many SSA alums in non-profit and government positions. This is such a diverse degree that it is exciting to see the large number of possibilities." Although Washington Week and her field placements are important components of her SSA experience, Kate also gives high marks to her teachers, including Assistant Professor Alida Bouris, her cohort's Direct Practice professor for two quarters; Associate Professor Yoonsoun Choi's class, Immigrant Families and Adolescents; and Hermon Dunlop Smith Professor Melissa Roderick for making data analysis both exciting and relevant. While Kate expected to return to her international work after graduating from SSA, she has become passionate about the child welfare system and addressing issues of poverty here in Chicago. For over five years, Kate invested her efforts in the Center for Law and Social Work, where she advocated for families navigating the Department of Children and Family Services (DCFS) and assisted with adoptions and guardianships. After this, Kate took on a dual role at Safe Families for Children, an organization in Chicago that screens and approves short-term hosting of children for families in crises, such as homelessness. As the Director of Research, Training, and Innovation, she created a national online training model for volunteers after they are screened and approved to take children into their home. In the other half of her work at Safe Families, Kate took on the task of developing a new mentoring program for youth aging out of foster care called Safe Families PLUS. Through this pilot project she was able to work with almost fifty young adults in Cook County and help them secure resources and support as they transitioned out of foster care. “The common theme throughout my career has been keeping families together,” she said. She shares this passion for family and childhood preservation with her husband, whose schooling in Marriage and Family Therapy has brought them to Washington state. There, Kate is beginning a new job as the “Help Me Grow” senior program manager for Pierce County through a nonprofit called First 5 FUNdamentals. “Help Me Grow” is a national model aimed at improving early childhood outcomes, and Kate’s role will include assessing parental resources and advocating for those resources and families.